I am thinking of taking a flotilla holiday next summer (2012) and am looking for some advice/feedback. I have a fair amount of sailing experience, in fact the Sunsail online sailing CV questionaire classed me as "expert". I wouldn't go as far as that - I do have a Day Skipper cert but haven't sailed for about 7 years. Anyway, I wanted to take my partner, her daughter and daughter's boyfriend, none of whom have sailed before but are keen to give it a try. So I am wondering what area (Greece/Turkey/Croatia preferably) would be best to ensure a good experience for the beginners, I don't want to scare them silly but, on the other hand it should be exhilerating enough for them to want to repeat the experience and with good ashore activities (sightseeing etc). Any feedback on the many companies that operate in this market would also be very much appreciated - I am looking for good support/backup and value-for-money as primary indicators and am not too worried about being in the latest all-singing-all-dancing vessel, just so long as they are safe and seaworthy (I suspect that would be a given anyway). The Ionian would be a good area to start. Many beautiful places to visit. Often light winds, no tides and navigation is line of sight I've heard good reports about http://www.sailingholidays.com/ and their prices look very competitive. We also did our first flottilla in the Ionian and we did it with Seafarer Holidays. Perhaps combine a one week beach holiday with one week on a yacht. 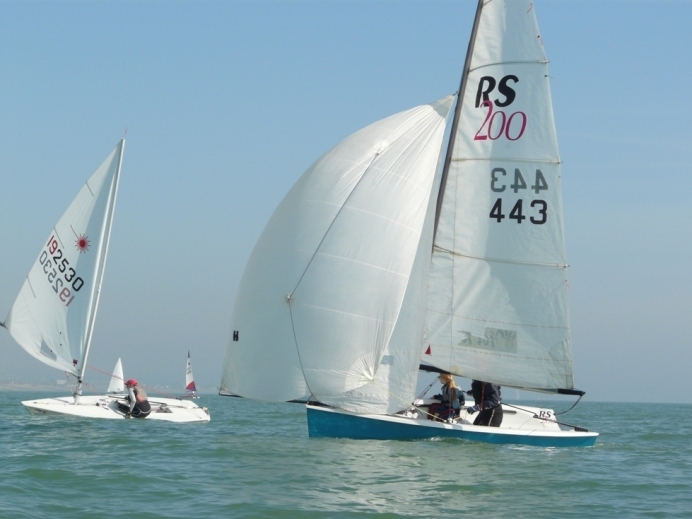 Seafarer can also add some pre-flotilla training to your first week on the beach holiday. The scary thing is with a dayskippers ticket you could probably get a bareboat. But good on you for admitting that you may have the bit of paper but not all the experience. Flottillas are great for support and also the social side. I felt Seafarer got the balance right in giving very good briefings then letting you do your own thing during the day. The Ionian is a popular spot, but for that reason I'd personally not go. Certainly in-season as it has a reputation for being extremely busy (make sure you’re in harbour by 3pm to get any space!) and often very little wind...as in you needing to motor more than you sail. I've been through on deliveries, but not for holiday...I don't want to spend my time jostling for space in crowded harbours. When I started, I by chance ended up going to the Argolic which is sheltered by the mainland, so no big winds or sea, interesting and quiet; very few flotillas and you can even go places and be the only yacht. So for the past 5 years I've been back to Greek Sails in Poros. I started in 2007 doing a Comp Crew from Poros (with Poros Yachting Academy – the Greek Sails sailing school) around into the Argolic and having a wonderful time...great sailing, great sights and not busy. It was such a good trip and I came back with such stories and photos that my wife then wanted to take up sailing! As a result I did my DS and she did her Comp Crew and we went back the following summer and did a bareboat back around the Argolic. Had a great time, from the splendid isolation of Kipirissi to exploring the castle as Astros, the remains at Mycenae or the huge Palamidi fortress at Navplion. That proved so good we went back the following year and did more of the Argolic, going down to Monemvasia which has to be one of the ‘must visit’ places on this earth, and on around other wonderful spots…too many to mention. Look at the Greek Sails ‘Sailing the eastern Peloponnese coast’ for some ideas of the area and what we would have seen. We have also sailed in the Saronic…north of Poros and visited places like the ancient Greek theatre and Epidaurus and the temple of Aphaia on Aegina from which you can look north towards Athens and the Parthenon. Generally we’ve found the Saronic busier than the Argolic and often very light winds. With all this, my wife’s appetite for sailing has grown and so last year we went out to the Cyclades and did a loop down the western isles and this year we sailed almost to Turkey and back. So my wife has gone from having never sailed, to this year doing long overnight passages well out of sight of land for hours on end and her saying she rather enjoyed these long passages and would quite like to try other night passages! That’s quite a long way to come and I guess says something about a good introduction around the Argolic. Anyway, hope this helps. There’s quite a lot of info on the Greek Sails website about places you can visit which may give you some ideas. Most companies (if not all) require two competent sailors on board, it seems you would qualify easily but it makes sense to know that if you fell overboard, someone else on the boat knows how to get back to pick you up. I would therefore recommend a Stay and Sail holiday, the first week in resort allows the non sailors to do a 4 day RYA keel-boat course and you could so a two day brush up course if desired. The second week is then spent on flotilla. We have done this for the last two years with Neilson and the kids (ages 14 & 12) declared it the "best holiday ever". 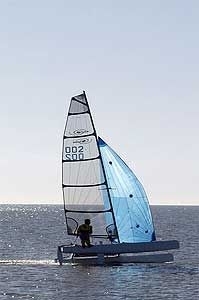 Sunsail also offer Stay and Sail options. We have also done the Greek Sails holiday booked through Seafarer. We had a great fortnight. Perhaps it was a bit quieter than the Ionian but the sailing distances were much longer so less time for a long lunchtime swim. Don't worry about being in port buy 3pm on a flotilla. We were always one of the last in as on flotilla the lead boat skipper has the job of finding(keeping) you somewhere to berth. I did my initial Comp Crew through Seafarer, but have always booked direct since. Has worked very well. We only need to buy our flights which are cheap when booked early and all the rest gets done for us if we ask. So despite starting with only my DS and my wife with a CC, we never had any issues sailing 'alone' on bareboat, but then it's a case of personal preference. I am from Greece, Ioannina. Last year 2011 I went to Paxos and had fantastic time. its a paradise over there with quite good prices, affordable from anybody. By the way if you are going to be there get a small boat for a day and visit Antipaxos(speechless). we've just got back from a Sunsail holiday and it was absolutely brilliant. We went for the Ionian flotilla as I had no yacht experience. The first week in the resort was the perfect start for the family and I was able to do the 3 day flotilla course which was ample time. I sail in the UK and so, for me, it was more about boat handling. However, I understand that from next season the minimum qualification will be a day skipper ticket as it is elsewhere. The second week of flotilla sailing was just right. The distances are pretty much 'line of sight' and the wind tended to be light in the mornings but picking up to a healthy f4 in the afternoons before quietening down in the evenings. So we got some good sailing in. Berthing was never an issue in that although some harbours were busy, there was always somewhere to moor up - our flotilla rafted up on several evenings which worked fine. I could go on!!! suffice to say it's a great way to explore, eat in some georgeous places and meet mostly really friendly, helpful people (apart from a truly obnoxious English couple in Kioni for whom flotillas appeared to be vermin). That aside, can not recommend this kind of sailing holiday highly enough.